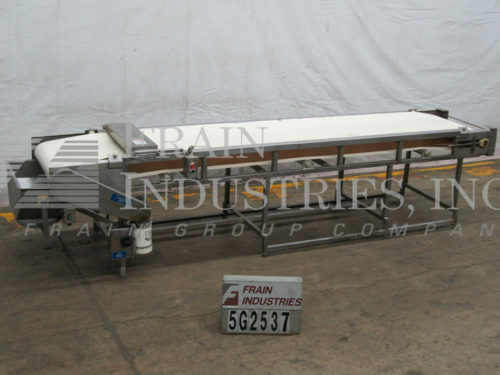 Sidel, stainless steel table top conveyor. 6" wide and 142" long Intralox style belt. Infeed and discharge height of 47". Equipped with a ¾ Hp drive and adjustable guide rails.